Roaming Stamper: Motivated by Pie!! 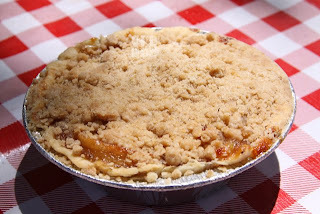 Last summer Ron and I visited Capitol Reef National Park and we had the best apple pie that either of us have ever tasted. Mind you, I'm not really a pie person so for me to say that it was really, rea lly good. We shared one after a pretty long hike and had decided we needed a second one for later on or the next day but a tour bus pulled in front of us and they bought every single pie that was left. Needless to say, we've been thinking about that pie for a year! 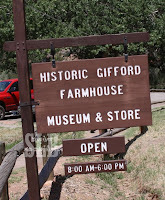 Yesterday we went to Capitol Reef and following a quick stop at the visitor's center, we drove straight to Gifford House and bought FOUR apple pies (they are 2 serving sized). We intended to have one with our lunch following our hike and one for each day left on our vacation. 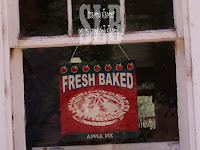 After a pretty strenuous hike, the pie was just as good as we remembered and we were so glad we bought more than one because by the time we got back from our hike, all the apple pies were gone! I have to say, this park is out of the way but I'd go back again for the pie...well that and the beautiful views. 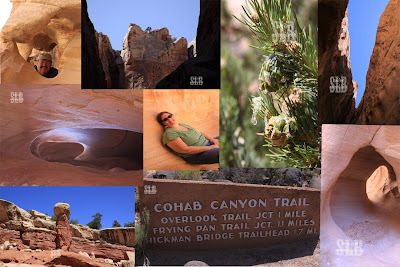 Check out the collage below of our hike! I remember you telling us about that pie! So glad you got to go back and get more. :) Your samples and everything you made for the SU Convention - so so cute. You are so talented! I sure hope I get to see you in October. It's been way too long! Are you checking email while you are away?